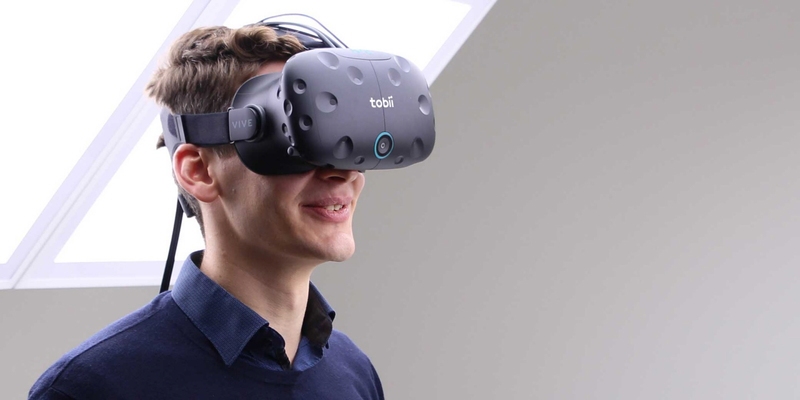 Software for a wide range of studies, Tobii Pro Lab works with our screen-based and wearable eye trackers as well as our VR headsets with integrated eye tracking. It supports the entire research process from test design and recording to analysis. Tobii Pro Lab also allows you to combine eye tracking data with other physiological data streams. 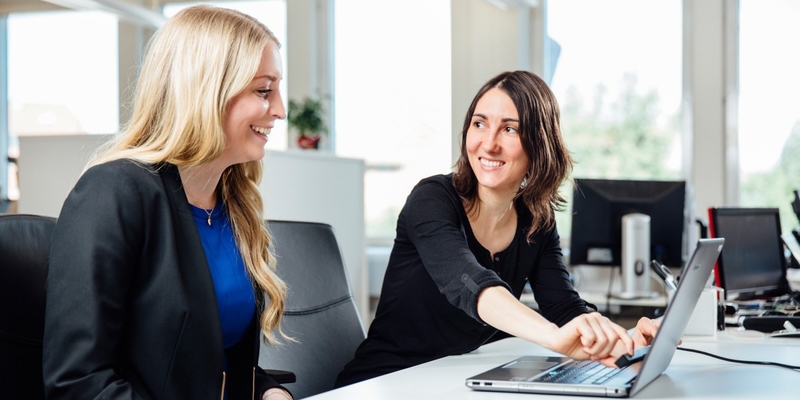 Tobii Pro Lab is our latest software platform designed for comprehensive research into human behavior. It can be used with all our screen based and wearable eye trackers, including our eye tracking integrated VR headsets. With Pro Lab you can also combine eye tracking data with other physiological data streams. 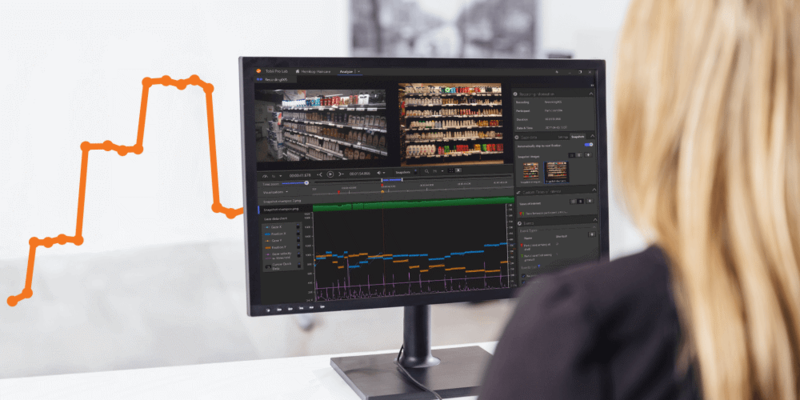 From in-store shopper research to psychology experiments, Pro Lab allows you to expand the scope and depth of your eye tracking research, while making it easier than ever to design, execute, and analyze your work. Pro Lab adds efficiency in every step of your study workflow with intelligent design and intuitive software features. You can easily create complex experiments, collect eye tracking data, observe and analyze individual recordings, and aggregate data for quantitative analysis and visualization – all in one tool. Pro Lab manages large volumes of data with an automated process for meaningful interpretation and powerful presentation of your results. With just a few clicks, you can calculate statistics and create compelling visualizations, obtaining a top-down overview of your data and uncovering unique deep insights. Built on an ingenious, state-of-the-art platform, Pro Lab ensures precise and consistent timing accuracy – down to the millisecond. It offers full transparency with tools for controlling your collected data, so you can rely on your analysis and findings with confidence. 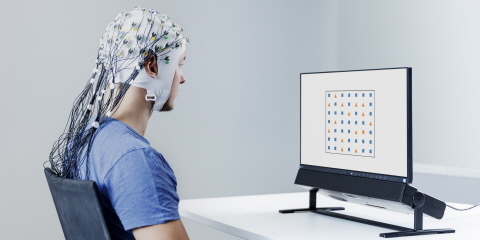 Pro Lab makes it possible to combine eye tracking with other biometric data streams like EEG, GSR, or ECG without the need for deep technical knowledge. It enables a wide variety of biometric research scenarios and paradigms for a more well-rounded view of human behavior, which opens up the possibility for new research questions. 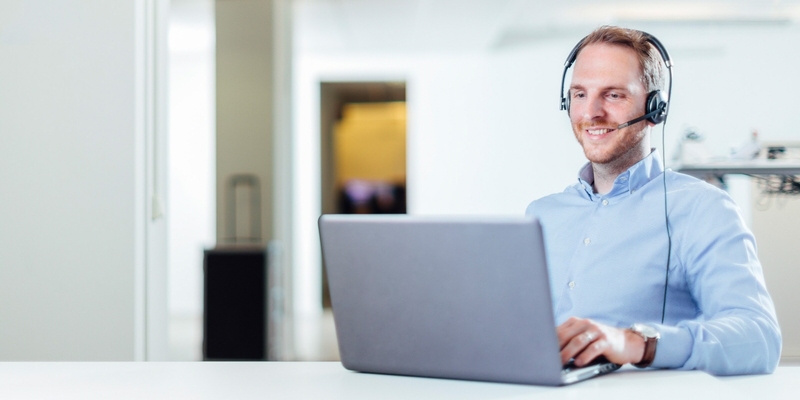 Use the software in a wide range of paradigms and study types to analyze data from participants involved in 'real-world' or stationary study environments with physical, screen based, or virtual stimuli. 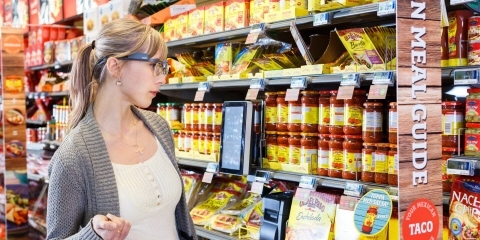 Import and analyze Tobii Pro Glasses 2 recordings. Design, record and analyze screen-based content and 360-degree content in VR, with the possibility to integrate other biometric sensors. Scene camera recordings and analysis with the possibility to integrate other biometric sensors . Easily design randomized experiments with up to hundreds of stimuli for a variety of screen-based research paradigms and scenarios. 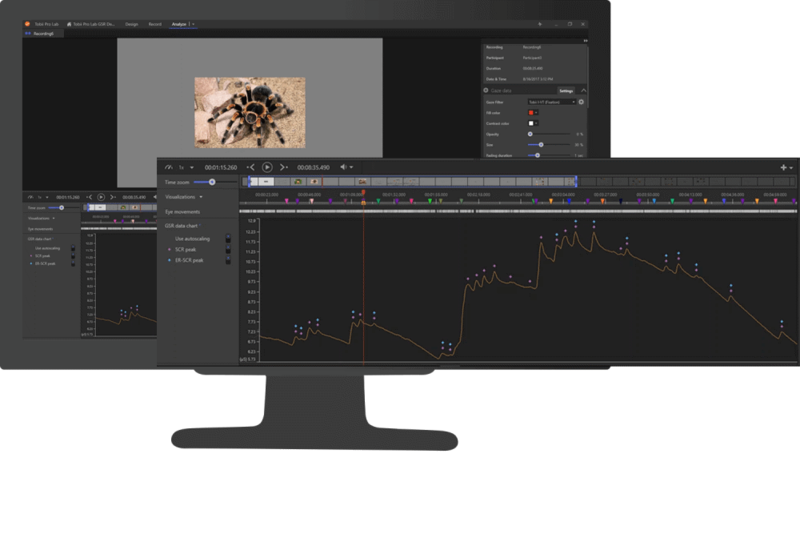 E-Prime® integration offers a simplified 2 in 1 solution for using E-Prime's powerful design and stimulus presentation features for creation of sophisticated eye tracking experiments, while processing the raw gaze data in Pro Lab. 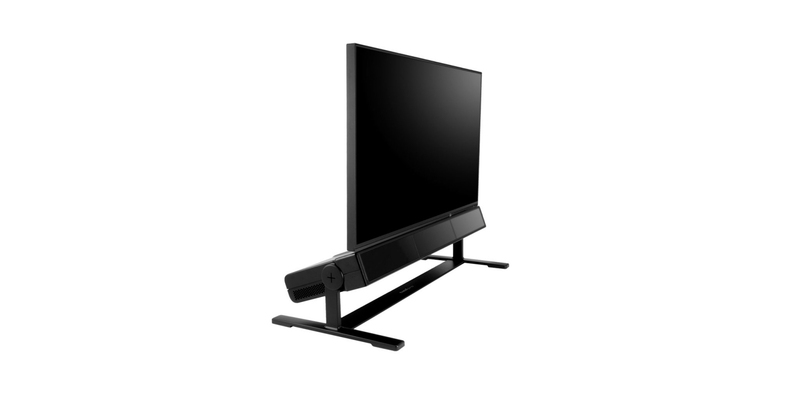 Read more about E-Prime® Extensions for Tobii Pro 3.2 here. Present stimuli and record eye tracking data while monitoring the progress with user-friendly moderator and control tools. Replay recordings with participants' gaze superimposed. Use events to annotate segments of specific interest and to code user behavior for filtering out relevant data sets. Plot gaze data and adjust gaze filters with full transparency. 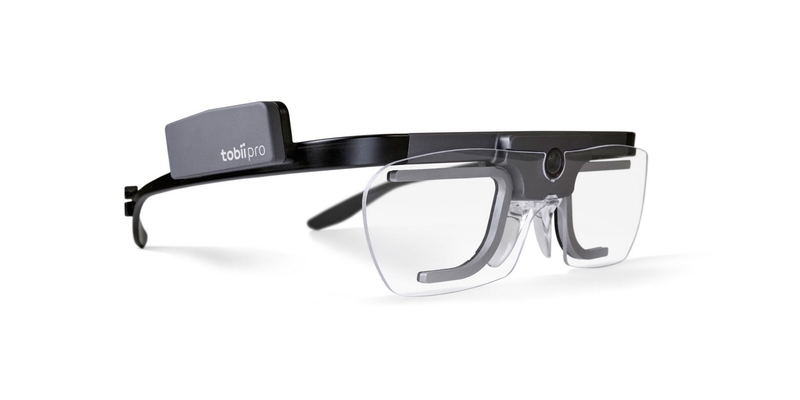 Automatically aggregate and map data recorded with Tobii Pro Glasses 2 onto snapshots. Once the mapping is applied, you can immediately start extracting statistics or begin visualizing the data, which dramatically reduces the time needed to analyze real-world eye tracking data. 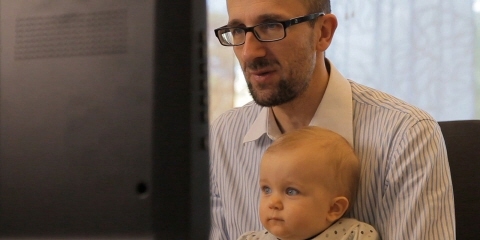 Learn more about Real-World Mapping. Calculate areas of interest (AOIs) or event metrics and visualize your data for quantitative analysis and interpretation. You can optimize your workflow by filtering out and focusing only on relevant data sets in order to answer research questions using behavioral-coding methods. 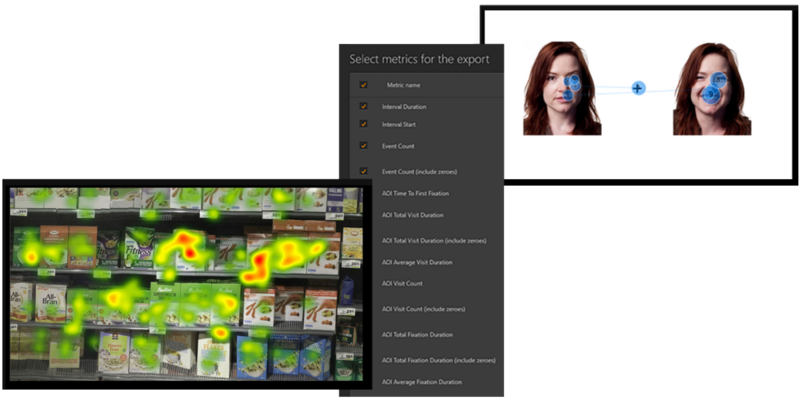 Combine eye tracking with GSR data and gain deeper insight into human behavior. Integrating the Shimmer3 GSR+ Unit, Pro Lab offers everything from study design and recording, to the visualization, analysis, and export of GSR data, together with eye tracking data, in a single software solution. This solution allows for the analysis of participants' emotional intensity concurrent with their visual attention to stimuli. Easily synchronize stimuli presentation and eye tracking data recordings with other biometric data streams without the need for configuration or extensive technical knowledge. 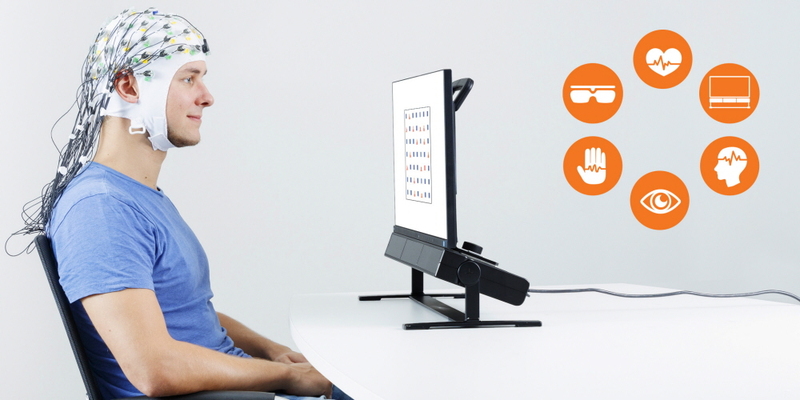 In this video, Estefania Dominguez, Biometric Specialist at Tobii Pro, gives a research perspective on the challenges and benefits of combining eye tracking and EEG. Tobii Pro Lab is a comprehensive solution that works with all of our eye trackers – from screen-based to wearable. 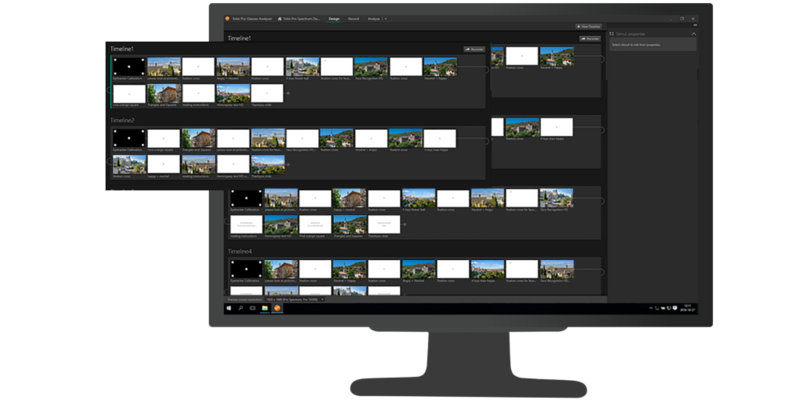 You can choose from three different editions to meet your specific needs: Full, Analyzer, Presenter, and VR 360. 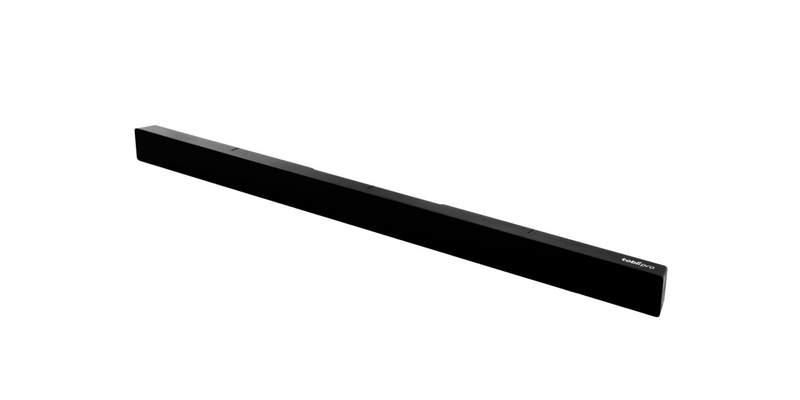 For users of screen-based eye trackers from Tobii Pro, the Full edition provides the complete set of tools needed to support all steps of the study workflow. From experiment design and data recording to comprehensive analysis, visualization, and comprehensive data export. The Full edition covers all of the features offered by the Analyzer, Presenter and VR 360 editions. The Analyzer edition gives access to automated Real-World Mapping and the tools needed for a comprehensive post analysis, visualization, and export of your data. 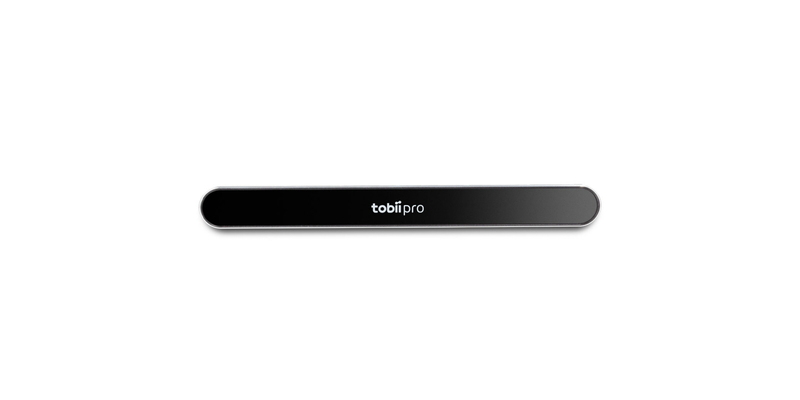 If you use Pro Glasses 2, data recording is supported by the Tobii Pro Glasses Controller software, so you do not need the Full edition. 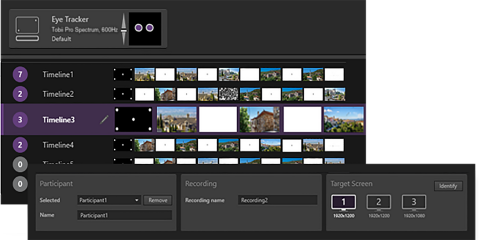 If you use our screen-based eye trackers, the Presenter edition supports experiment design, data recording, and raw data export. Your collected data can then be analyzed using the Analyzer edition of Pro Lab or a third-party software for data processing and analysis (i.e. SPSS, Matlab, or Excel). This edition is intended for users who want to collect eye tracking data from 360-degree images and videos within a VR environment. 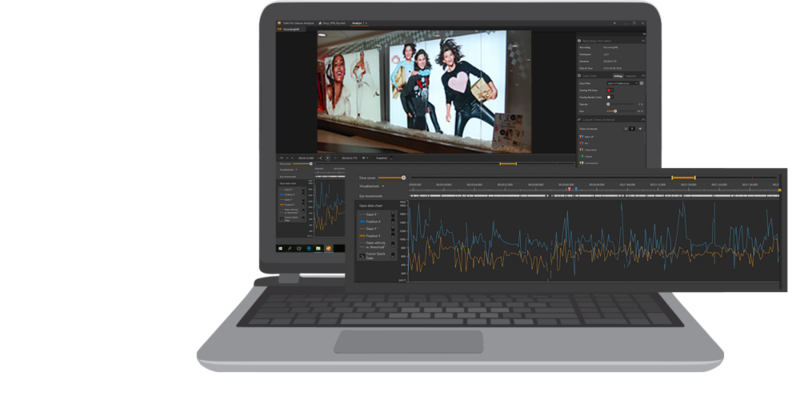 Supporting the entire workflow from study design and recording, to analysis and visualization output, it also integrates with GSR sensors for even more comprehensive behavioral data. The VR 360 edition is included in the full edition of Pro Lab. Here, you can download a trial version of Pro Lab. The download is free for 30 days and allows you to try some of the key features of our new software. Below, you can also find sample projects for screen-based or wearable eye tracking studies. The trial software is the most up-to-date version available. If you create or open projects in this version, you will not be able to use these projects in older versions of the software. There, you will also find training articles, the user manual, and sample projects for practicing. Pro Lab has tools that enable you to manage randomization and efficiently design trial-based experiments with and without replacement. Check out our video to the right to see how to set up your stimulus presentation in Pro Lab using Group elements.